WaterPrayer – use prayer to change your water. use water to change your life. WaterPrayerTM is a process of meditation and prayer, using water as a way to focus our thoughts, feelings, and presence. The health benefits of meditation are well documented (more here), and can be used in many ways to experience deeper aspects of ourselves, our relationships and our spirituality. Prayer is a form of meditation, and is used both in and outside of religion to experience a deeper understanding and sense of connection to whatever our individual beliefs use as a sense of our Source. Every religion has their own model for this, and the billions of people on Earth express this in thousands of ways. Direct petitions to God, in which the petitioner appeals directly to God to grant specific requests. This is the primary approach used in the Hebrew Bible, the New Testament, most of the Church’s writings, and rabbinic literature such as the Talmud. Educational approach, meant to evoke and inculcate certain attitudes in the person praying, but not influence. It is a way of personal and spiritual growth through prayer, where prayer is used to support an individual’s growth, but not dictate where that growth takes them. Rationalist approach, to help train the person praying to focus on divinity through philosophy and intellectual contemplation. Experiential approach, which is intended to help bridge the experience of the person praying and the object of their prayer. It is a way to seek to experience the Divine, and to support maintaining that experience through contemplation. It is this last form of prayer that WaterPrayerTM uses as a meditative process. 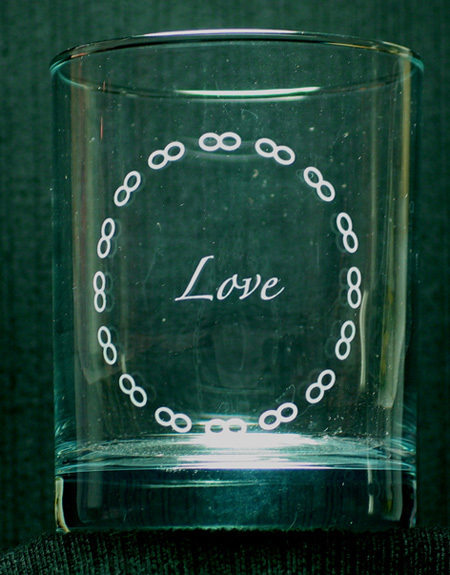 We use WaterPrayerTM glasses with specific qualities written on them as a way of focusing on ‘holding’ those qualities more closely within ourselves as a way of transforming and deepening our capacities. We use water as a representation of life, rebirth, happiness and transformation. It is merely a tool, a symbol, and a vehicle for assisting in the meditations we use to help deepen our capacities for important qualities in our lives: Trust, so we are open to the process of transformation; Acceptance, so we are open to the changes these processes set in motion; Love, as a way of expressing non-romantic, non-sexual love (also known as Agapé love, described by many as the highest form of love); and Understanding, as we incorporate our deepened experiences as a transformative process.